This summer has a lot to offer in terms of campaigns and summer promotions. Most online casinos are running some sort of promotion for their players where you can get both free spins, bonuses and other valuable gifts. 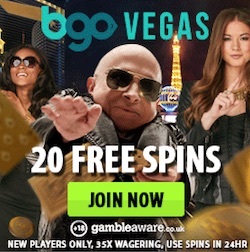 One casino that has started a really interested summer campaign is MrGreen. At this online casino 1 million free spins will be paid out during two weeks. 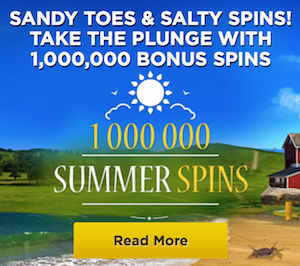 Up to four times a week you can claim free spins in MrGreen's summer promotion. The promo is open for both new and excisting players so anyone has the chance to claim free rounds during the campaign weeks. 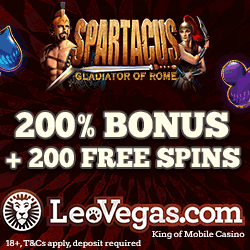 This is probably the only time you will see an online casino give away this amount of free spins. 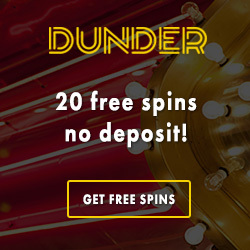 You can get some of the summer spins by qualify for the daily offers at MrGreen. In order to get free rounds you simply have to deposit money to MrGreen and then just wager the money in the casino one time or more. How many free spins you get depends on how much you are ready to deposit and wager. If you deposit and wager at least €10 during the day you will qualify for 10 free rounds. If you make a deposit of €20 or more and wager the amount in the casino you will get 25 free spins. Players that deposit and wager at least €50 will get 65 summer spins. 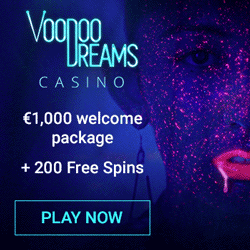 And if you are a real high roller you can make a deposit of €100 or more and wager the amount to get amazingly 140 free spins. These summer spins will be paid out to your account the following day by 1 pm. You can use the spins on four selected campaign slots from different game producers. MrGreen's summer promotion runs until July 5th so make sure you claim your summer spins before that. Join the spin fiesta at MrGreen! At Mrgreen you will get a warm welcome when you sign up and begin to play. MrGreen offers all new players bonuses upon their first deposits. Players from some specific countries will also get free spins upon the welcome bonus. If you are from one of the Scandinavian countries you can look forward to getting free spins with no deposit required. To see which welcome offer that is valid for your specific market just click on any of the bonus links in this article and you will be redirected to the bonus site at MrGreen. The welcome offers can of course be combined with the summer spins offered in the current promo!